Amanda Jackson Band: November news! 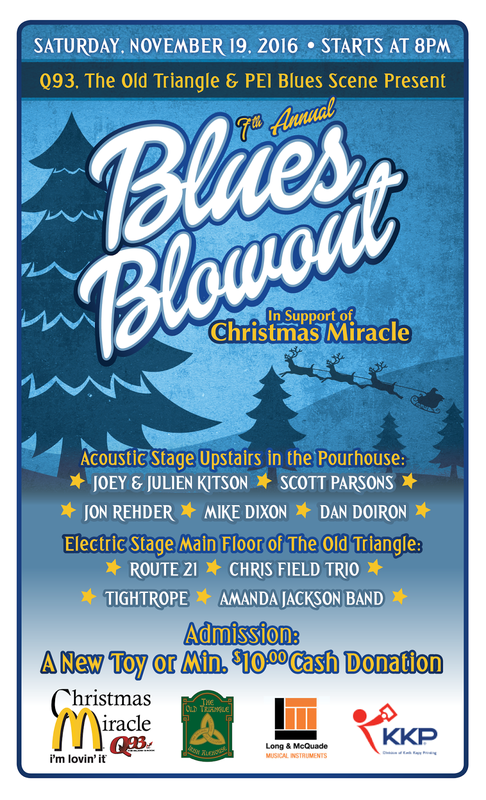 We're very pleased to be part of the 7th Annual Blues Blowout for the Christmas Miracle Campaign happening on Saturday, November 19th at The Old Triangle and Pourhouse in Charlottetown, PEI. It's always a fantastic night full of generosity, community and of course music! Check out the poster and event for the full line up! 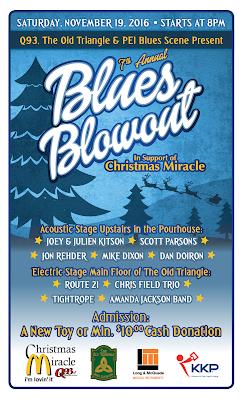 On November 26th, be sure to join us at the historic Haviland Club for this must see show! The Amanda Jackson Band & Friends Concert Series presents the one and only Nudie as their special guest for the evening! 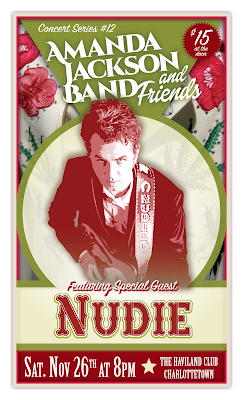 As usual, Nudie will perform the first half of the show and the Amanda Jackson Band will join him on a couple of songs of his choice and the second half will feature the Amanda Jackson Band with Nudie joining them at the end of their set! Tickets are only $15 for the evening and the show starts at 8pm!